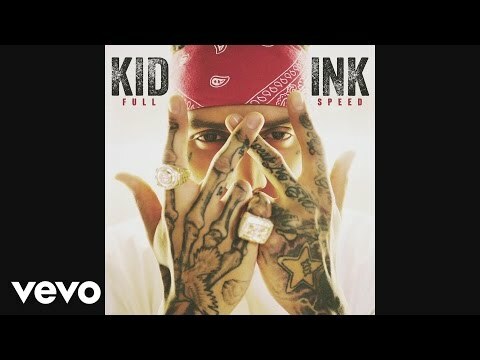 Kid Ink cruises past all boundaries. The Los Angeles rapper, producer, and performer can seamlessly slip from an irresistible hook into an impeccable verse, effortlessly bobbing and weaving between the club and the streets. There’s absolutely nobody quite like the tattooed from head-to-toe impresario, and that’s the first thing you’ll notice when you take his full-length debut, My Own Lane [Tha Alumni Music Group/88 Classic/RCA Records], for a spin. Grinding as a producer since the age of 16, he uncovered this creative highway by perfecting a personal style behind the board first. His production collaborations include everybody from Sean “Diddy” Combs, Sean Kingston, Nipsey Hu$$le, and more. That experience in the studio set the stage for him to become the versatile and vibrant force he is today. “My background producing contributes so much to my own music,” he admits. “I feel like I have a different ear because of that. I’m always aiming for a bigger sound and a bigger look. Instead of focusing on just a verse or simply spitting, I’ll tackle the melody or harmony and build from there. Then, I make sure what I’m saying matches. There’s got to be continuity. At the same time, I like to twist everything up a little bit.” He officially started twisting the game up when he dropped his 2012 independent album, Up & Away, which spawned his mainstream breakthrough song “Time Of Your Life.” He covered XXL Magazine as part of that year’s “Freshman Class,” while the album smashed an iTunes record by debuting in the Top 5 of the Hip-Hop Albums chart prior to release and minus any traditional promotion. Cumulative single sales from the effort exceed over 500K, while it landed at #20 on the Billboard Top 200, moving over 20K copies first-week. Piping hot from the indie success, he inked a deal with Tha Alumini Group/88 Classic/RCA Records in 2013, dropping the acclaimed Almost Home EP that same year. However, everything simply laid the foundation for My Own Lane. 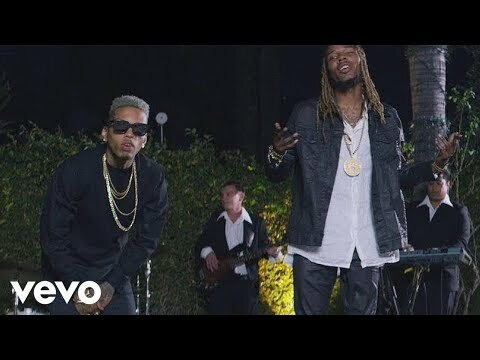 “Show Me” [featuring Chris Brown] introduced the world to the album. Boasting production by DJ Mustard and an unshakable hook from Brown, the track cracked the Top 10 of both Billboard’s Hot R&B/Hip-Hop Songs and Rap Songs charts. It opened up the floodgates for Ink and helped garner him a spot on Shazam’s “2014 New Artist to Watch” list. 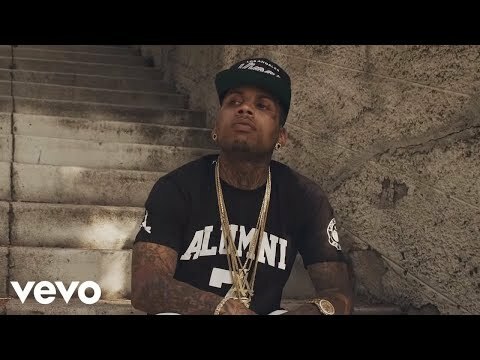 The single “Iz U Down” [featuring Tyga] swings from a bombastic beat into a sultry and slick refrain. Ink and Tyga go toe-to-toe with fiery verses, unleashing a massive banger in the process. “It had that original Kid Ink vibe, but it was something everyone could rock with on radio or in the clubs,” he goes on. “It fit the moment. Tyga was in the same studio the night I had the record, and he felt it. Lyrically, it was about girls having fun with other girls—whether they’re in the club dancing together or whatever. That’s the point when parties usually get fun. It shows another side.” Elsewhere on the album, he teams up with August Alsina for the buoyant and bouncy “We Just Came To Party,” which tempers a soulful chorus with clever wordplay. “It’s definitely a party record,” he smiles. “It plays off people hitting each other up on Instagram. You could call it a social network record.” However, he unleashes pure mic fury on the aptly titled “Murda” alongside Pusha T. It’s raw, real, and righteous hip-hop that scorches on impact. Ink explains, “That record shows more of that genuine hip-hop vibe. Pusha T is a real deal artist, and it’s all about the bars with him. He was also someone I looked up to when I was younger and growing up with my favorite music. I was rocking to Clipse and The Neptunes. As soon I got this record, Pusha was at the top of my list. 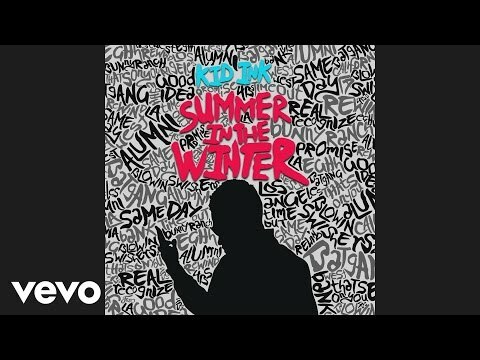 It’s a dream come true.” While countless other friends popped by for red hot collaborations to add their own respective flavors to this formidable collection - French Montana, A$AP Ferg, MGK, Elle Varner, Meek Mill and Wale, plus producers DJ Mustard, Danja, The Runners, DZL and more; Kid Ink continues to shine through each track. My Own Lane solidifies him as an artist preserving his independent identity while reaching a new level altogether. Whether it’s embracing tattoo culture further or diving deeper into his other interests like X-Games and NBA, he stands poised to exert a seismic impact. “We’ve got a bigger machine to help out with what we were already doing from day one,” he says. “I feel so blessed to be in this position, but it all starts with the music one-hundred percent. 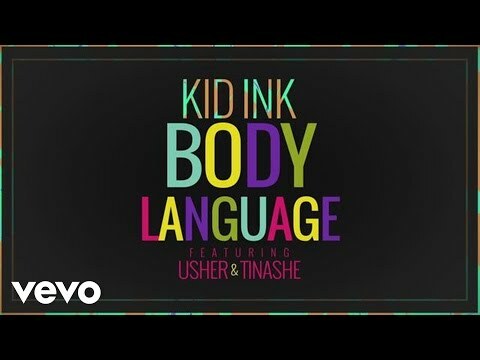 That won’t change.” Ultimately, that music is going to continue satisfying listeners worldwide as MTV International has chosen Kid Ink as their first PUSH campaign artist of 2014. “I want people to feel surprised,” he concludes. “I want them to get something they didn’t expect. I want them to look forward to more too.” Get ready to ride down Kid Ink’s Lane. 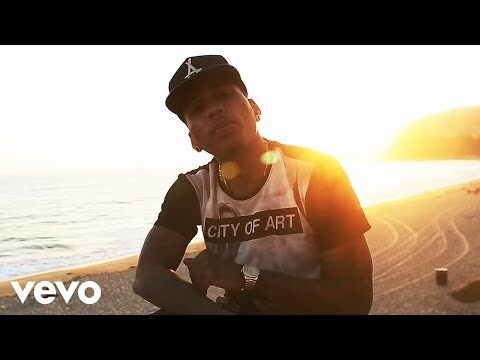 Book Kid Ink for shows and concerts at Heavy Rotation booking agency. Worldwide Bookings with HR Booking. Kid Ink Booking, Book Kid Ink. 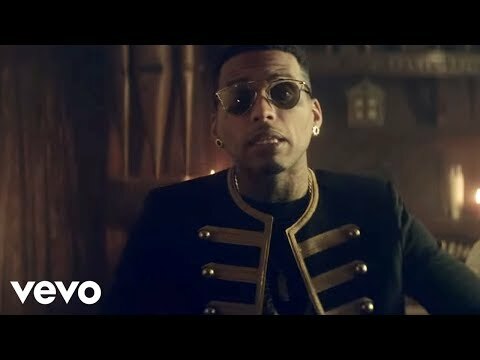 Book artists like Kid Ink, Kid Ink booking agent, contact Kid Ink email, Kid Ink manager, Kid Ink management for concerts, bookings, biography, pictures, videos. 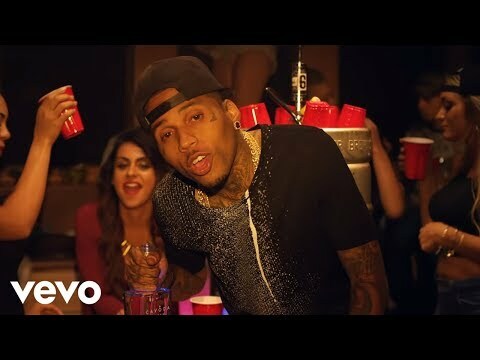 Kid Ink may be available for your club shows, private party, festivals or other events.